Express your true passion for body decoration and check out the best Tattoo & Piercing Designs! Get inked and pierced with cool stickers in virtual body art studio and try out different tattoos to find your favorite. You can find here incredible works of art of the best tattoo artist in world! Hurry up to get this cool app and decorate your pics with amazing piercings and tattoos! - Various photo effects to make your images perfect! - Share your hipster pics with your friends on social networks - Instagram, Facebook, Tweeter etc. 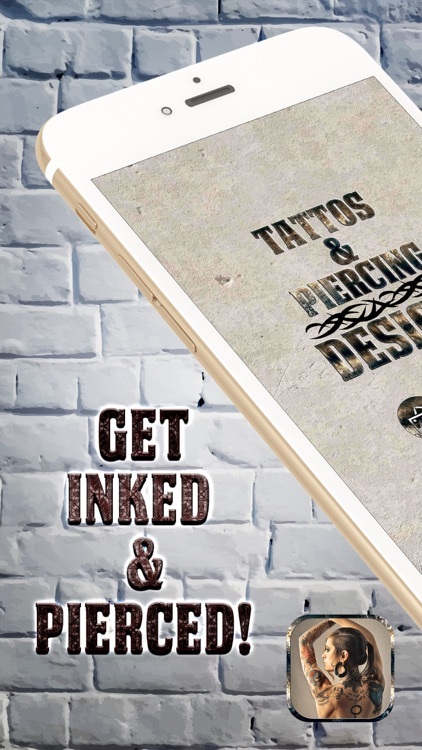 Tattoo & Piercing Designs app is perfect for everyone who is passionate about body decorating and looking unique! Amazing stickers and stamps will give you realistic picture of how you would look with various tattoo and piercing designs! If you are ink addict and enjoy covering your body with original Tattoo & Piercing Designs this app is just what you've been waiting for! Get awesome tattoos and piercings and change your appearance in a second! Download the best tattoo sticker app right now and use it completely free of charge! 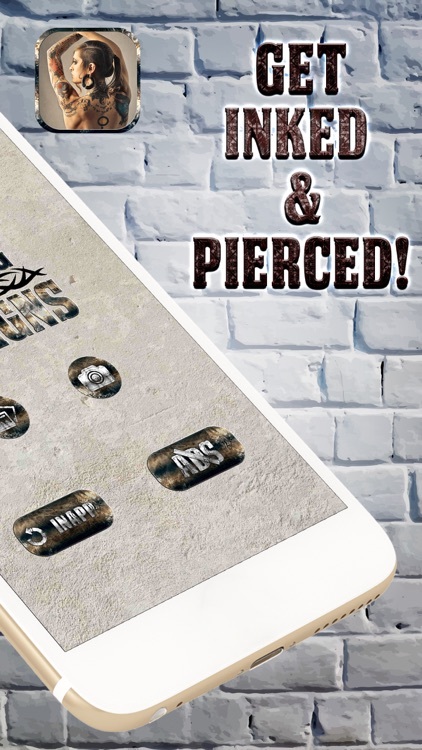 Tattoo & Piercing Designs app is free to download and use, but please note that it contains certain in-app features, like the removal of adds, that need to be purchased for real money. In case you are not interested in this possibility, please disable the in-app purchase option in the settings.